By the time you're reading this I'll either be either in or en route to New York City. Yes, I actually survived midterms and I'm finally on the fall break (!!!) I've been daydreaming of for weeks. I've got a crazy busy weekend planned, but I'll be recapping my trip once I get back next week. In the meantime, I wanted to round out this hectic with something extra sweet and special. 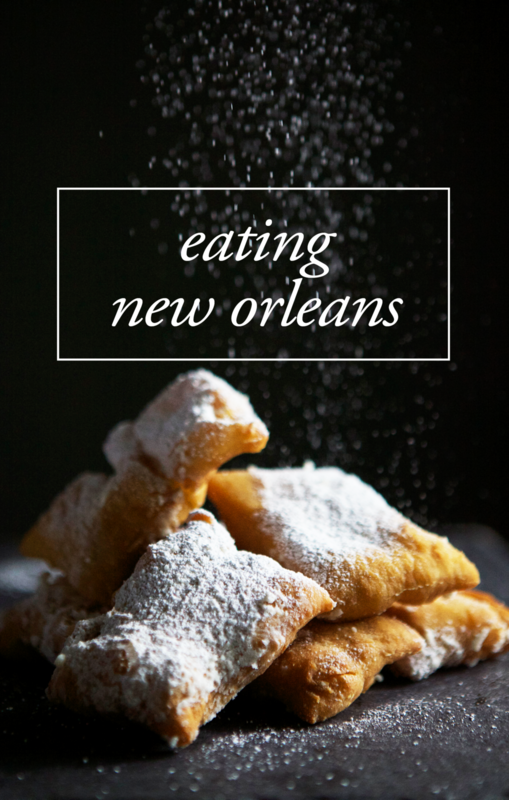 It's been a few weeks since the last installment in my Eating New Orleans series, so I'm tackling one of the most traditional local flavors today. Yep, you guessed it (or you know, you just read the title to this blog post): today is all about Bananas Foster. Bananas Foster was created in 1951 at the famed Brennan's in New Orleans' French Quarter, but has since gained status as New Orleans' unofficial dessert. And for good reason too, it's freaking delicious. Butter and brown sugar are melted down with sliced bananas and caramelized for a hot second, before rum and banana liqueur are added, flambéd tableside and served warm with vanilla ice cream. Bananas Foster is so simple that I knew I had to dress it up somehow for y'all, so the Bananas Foster Tiramisu was born. Rounds of moist banana bread are soaked in a brown sugar and rum mixture before being topped with a creamy banana mascarpone filling. On top of that goes a layer of bananas foster, then more filling. I topped my little tiramisus off with a banana chip dust and some bruléed bananas, because, let's face it, I'm always looking for a way to wreak havoc upon my kitchen with a blow torch. It only took one bite before I knew this one was a keeper; there's so many different textures going on that I was totally having a mouth party for a (couple) hot second(s). Creamy, chewy, moist, crunchy... it's all there. Even my parents, who resent the amount of sugar I bring into this house, were obsessed. I made my mom try them at 10am and the sound that left her mouth after a single taste totally sealed the deal. According to Ellen (hi mom! ), these are one of the best desserts I've ever made. What more approval could I ask for? Cut out banana bread in circles the size of your serving glass, about 1/2-inch thick. Place in the bottom of glasses. To make the soak, mix together the brown sugar, confectioners' sugar, rum, and boiling water until smooth. Using a pastry brush, evenly distribute the mixture over banana bread pieces until soaked through. In the bowl of an electric mixer fitted with the whisk attachment, make the filling by mixing together the heavy cream, mascarpone, mashed banana, and pudding mix on low to combine. Increase the mixer to high speed and whip until thickened. Layer on top of the banana bread. To make the bananas foster, heat the butter over medium heat until melted. Once melted, add the brown sugar and stir until combined. Add in the banana slices and cook until caramelized. Remove from heat and mix in rum. Using a long lighter, flambe the mixture until the rum cooks away. Layer on top of the mascarpone filling, before repeating this step with more filling.